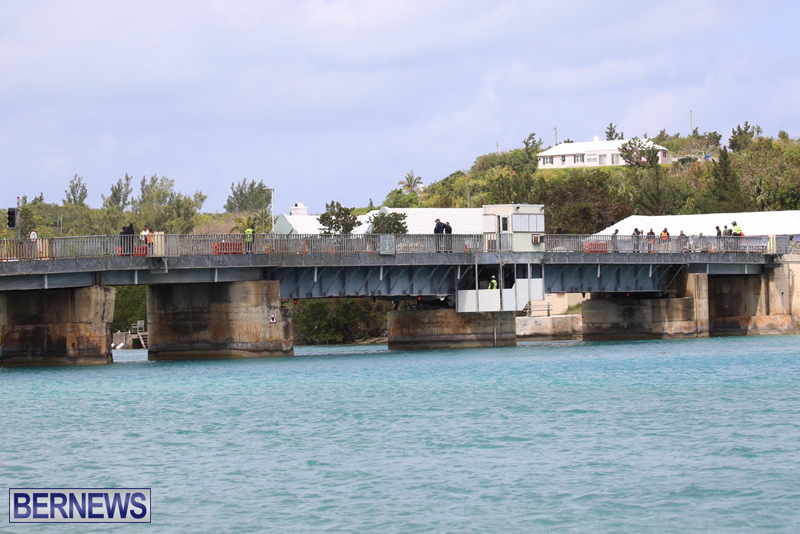 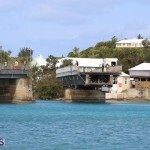 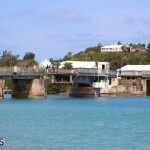 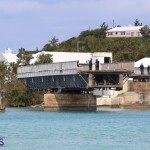 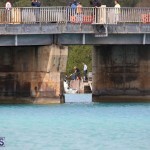 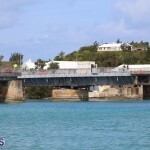 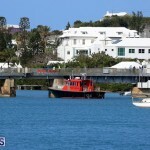 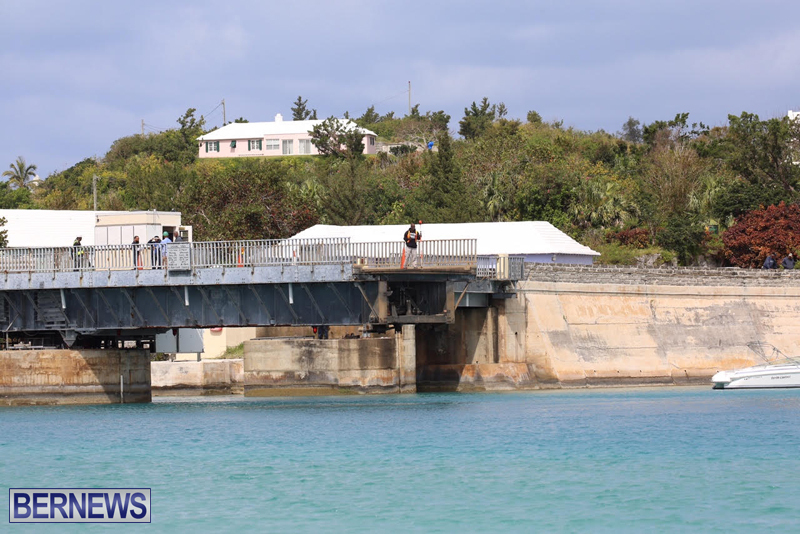 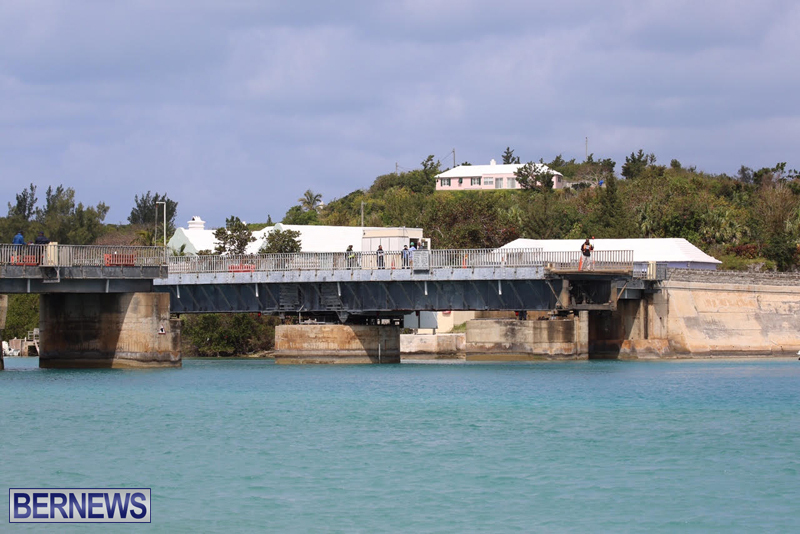 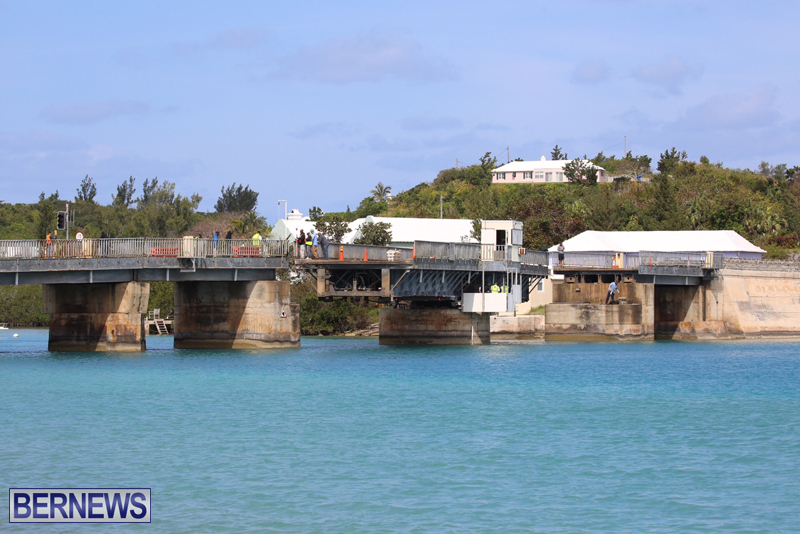 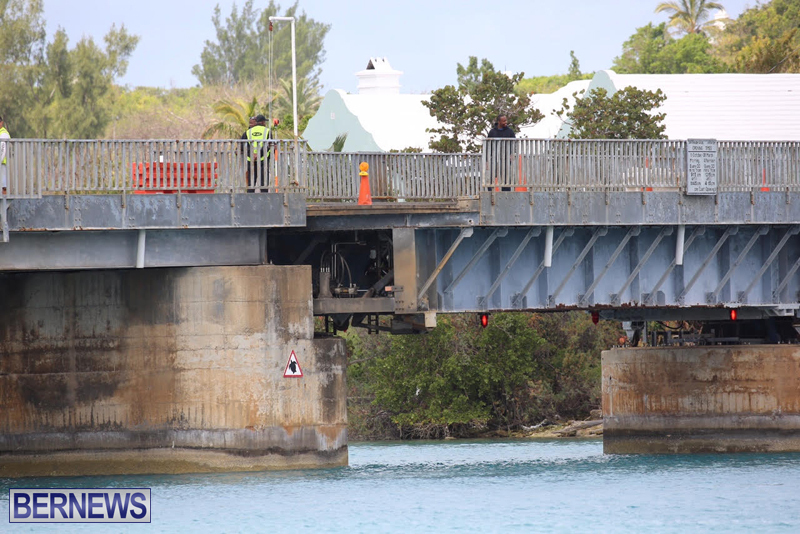 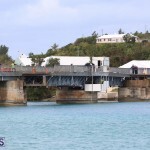 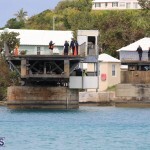 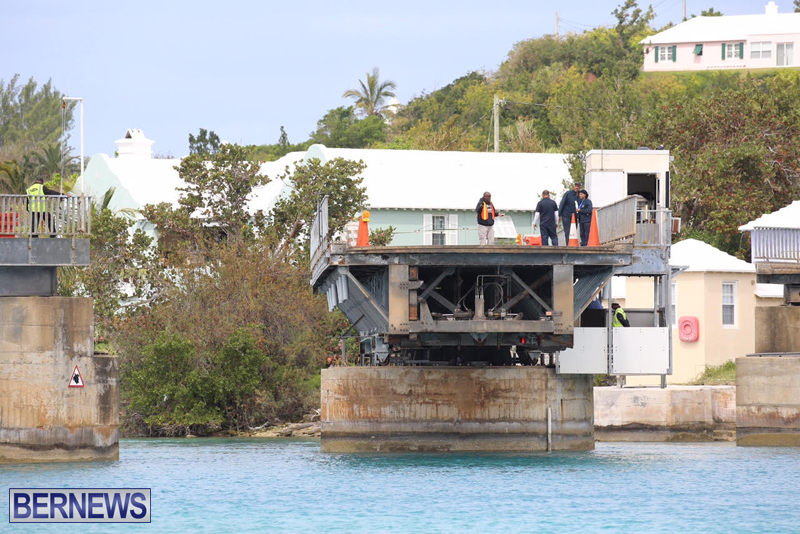 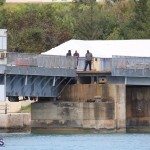 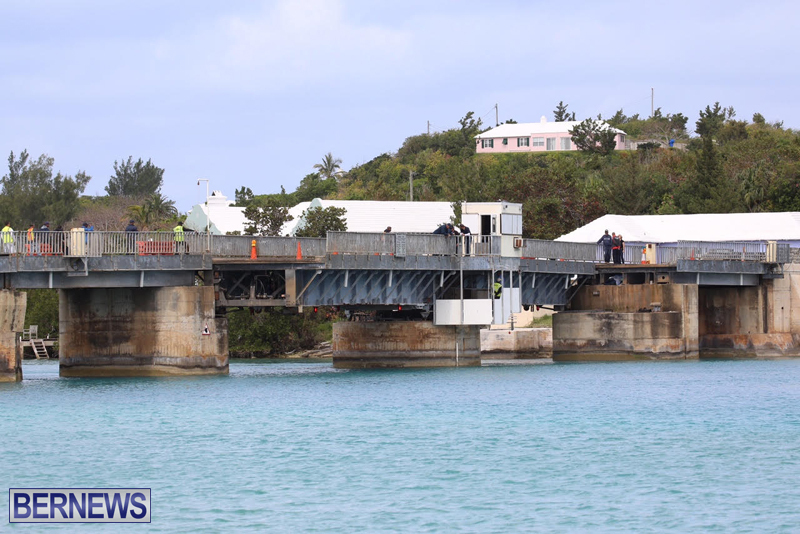 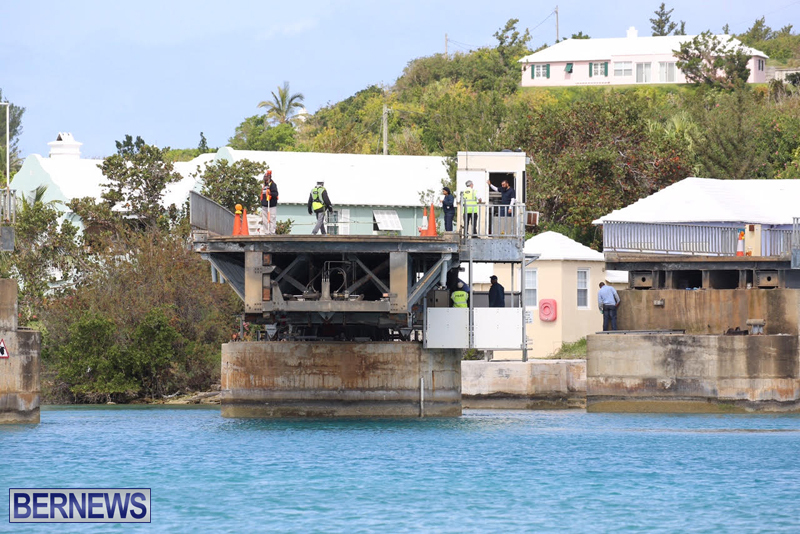 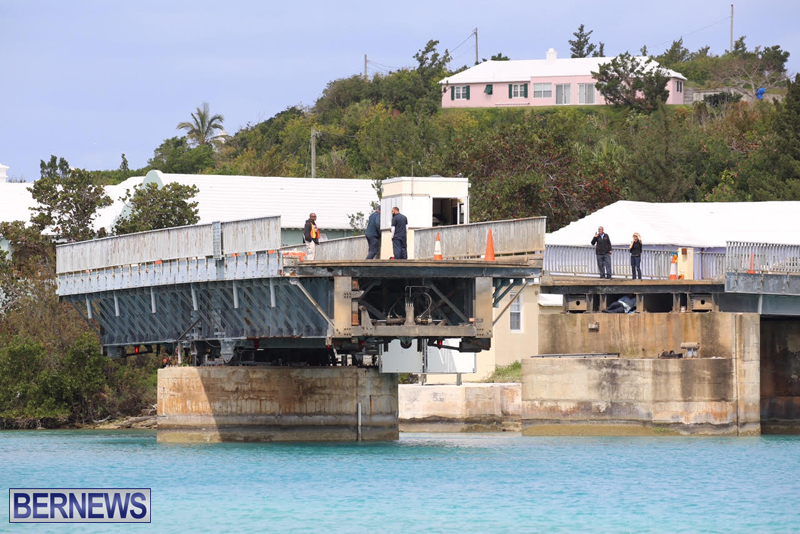 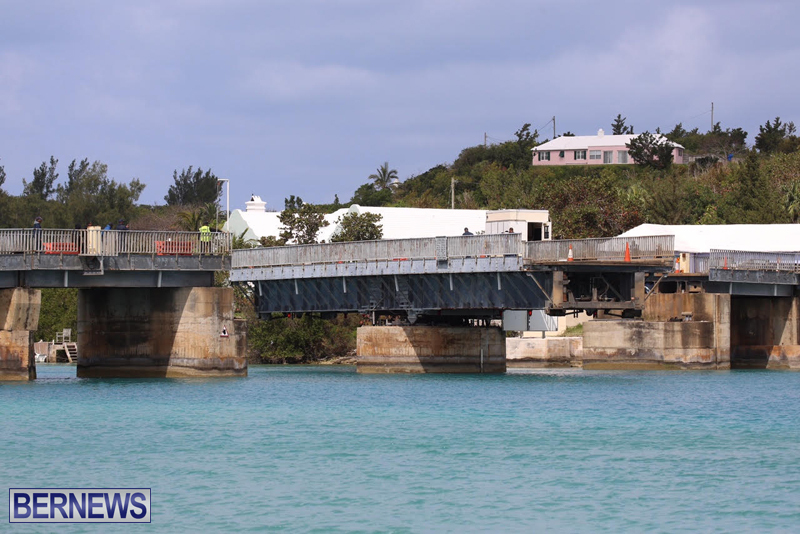 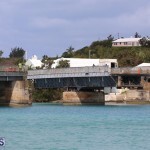 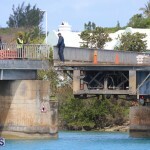 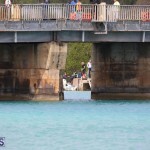 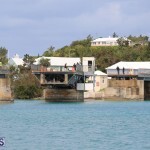 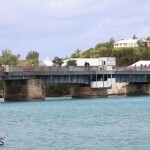 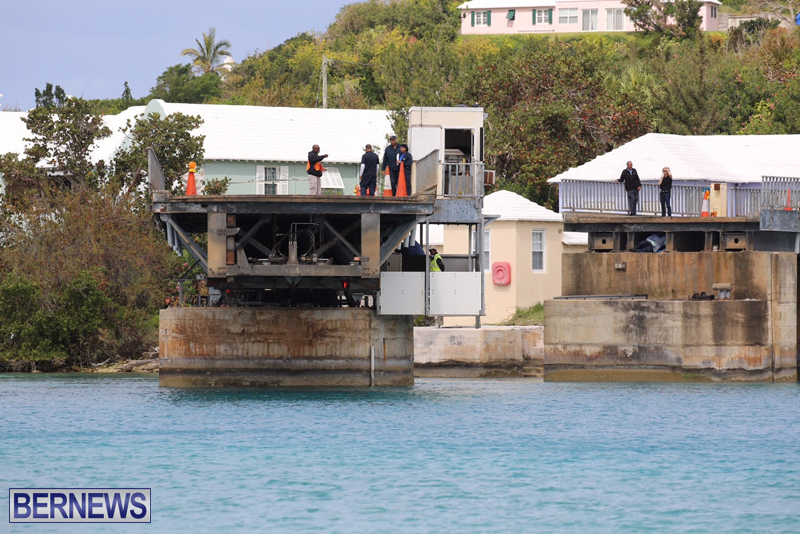 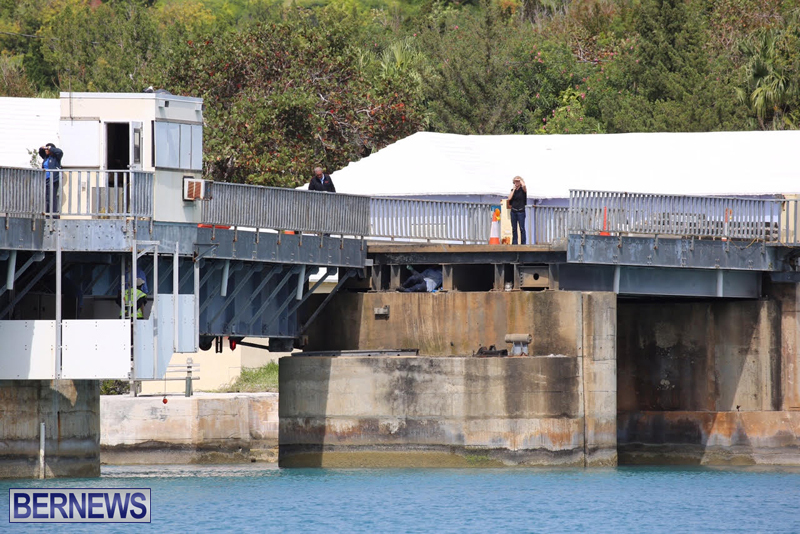 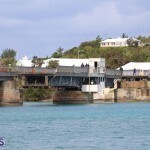 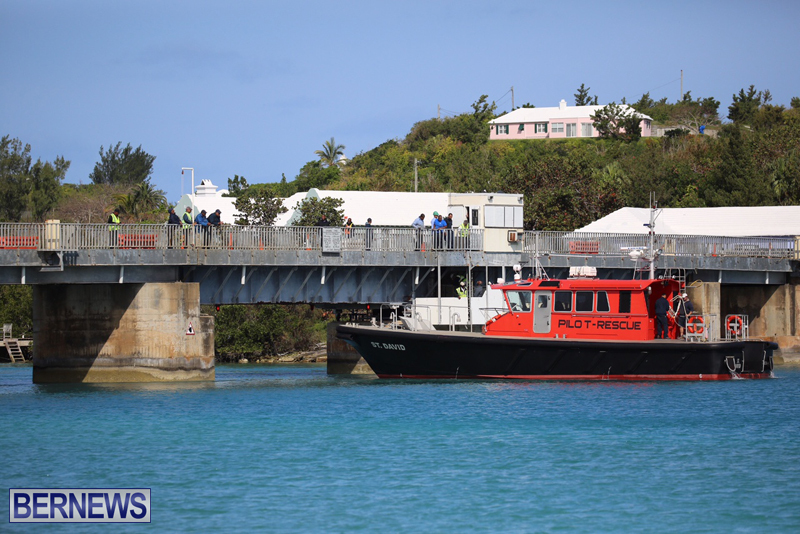 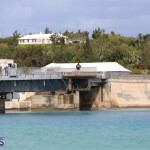 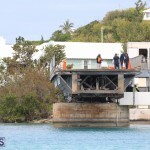 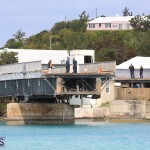 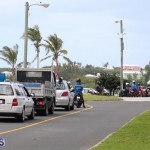 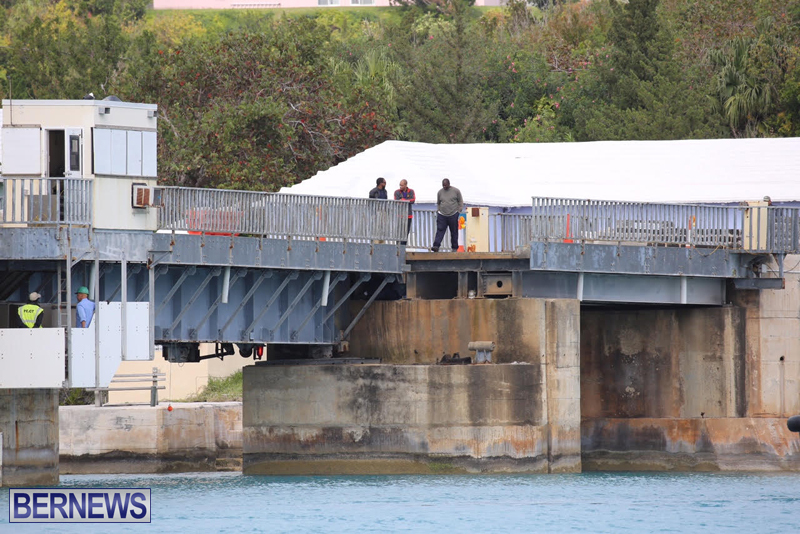 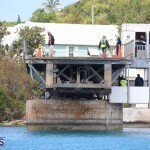 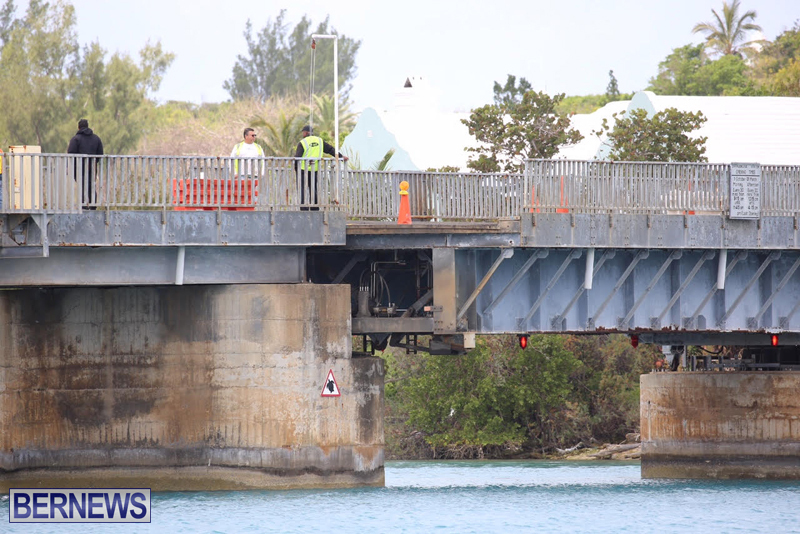 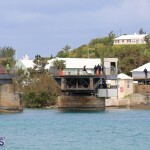 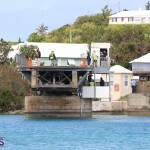 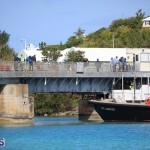 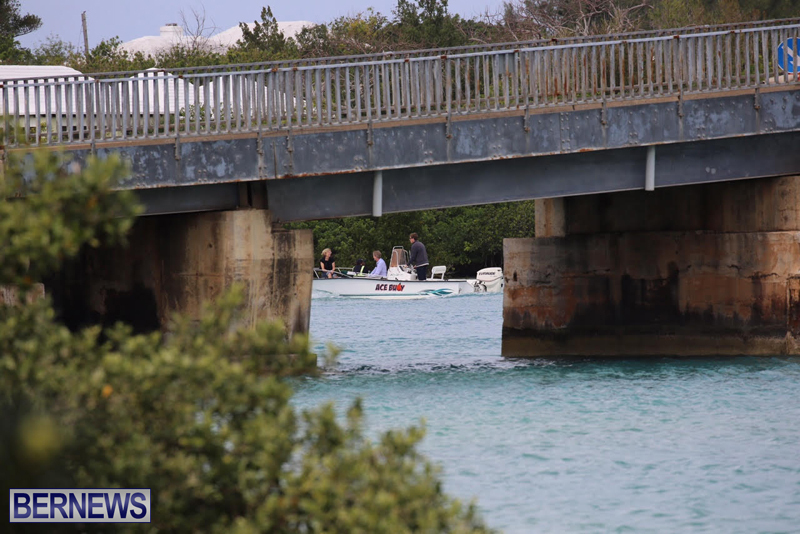 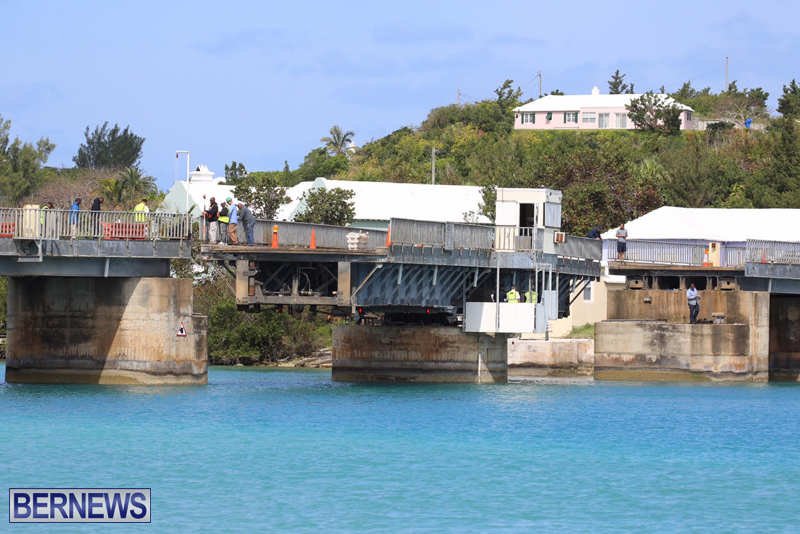 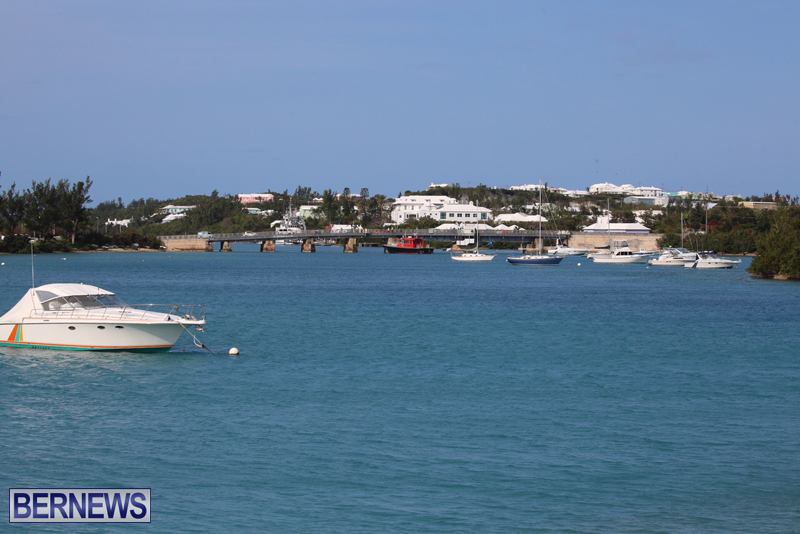 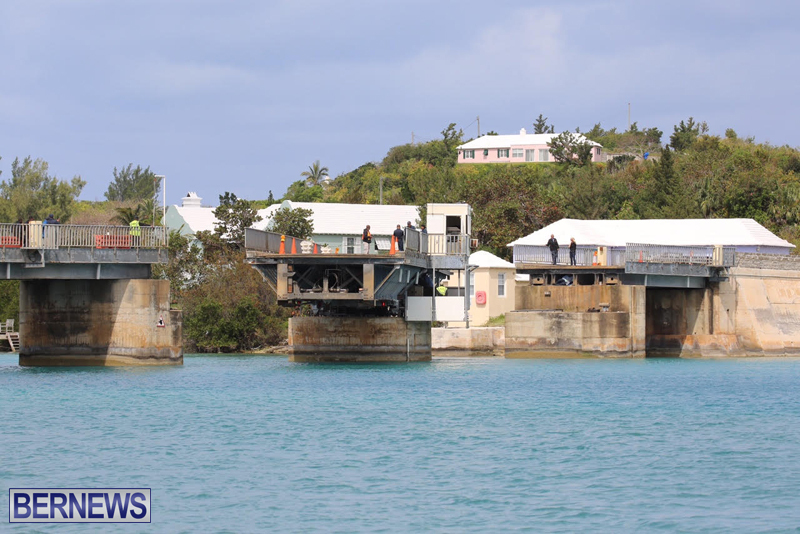 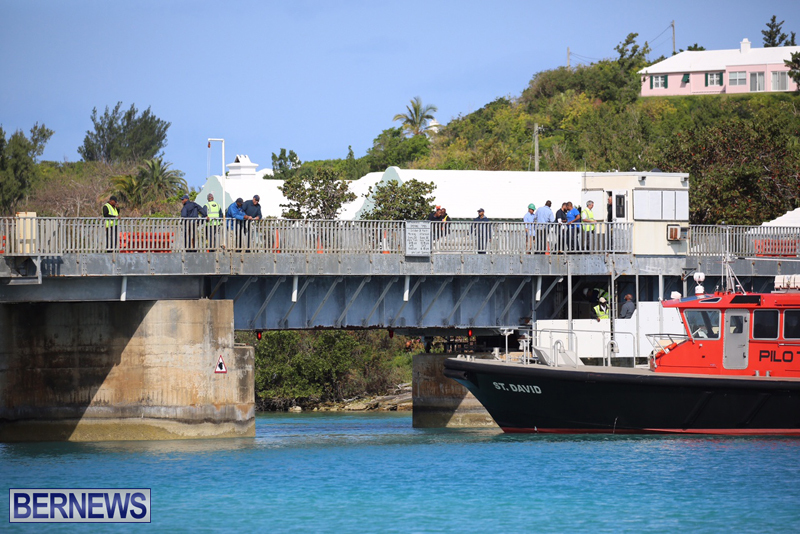 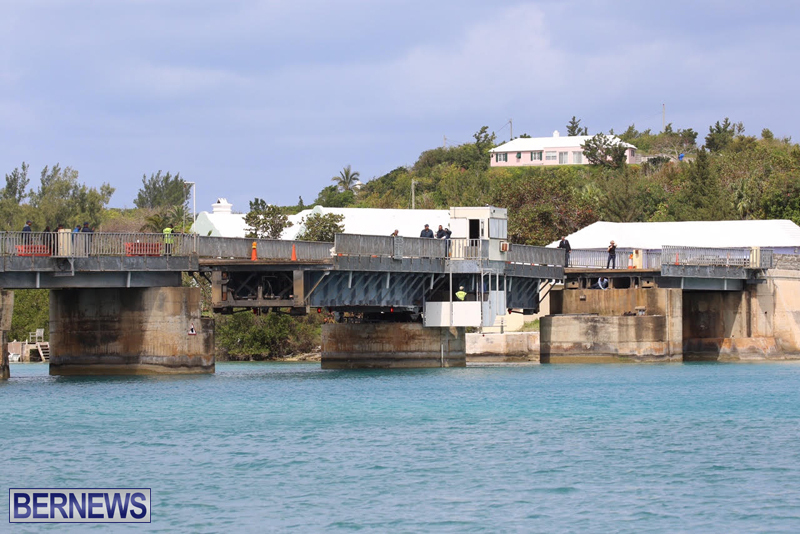 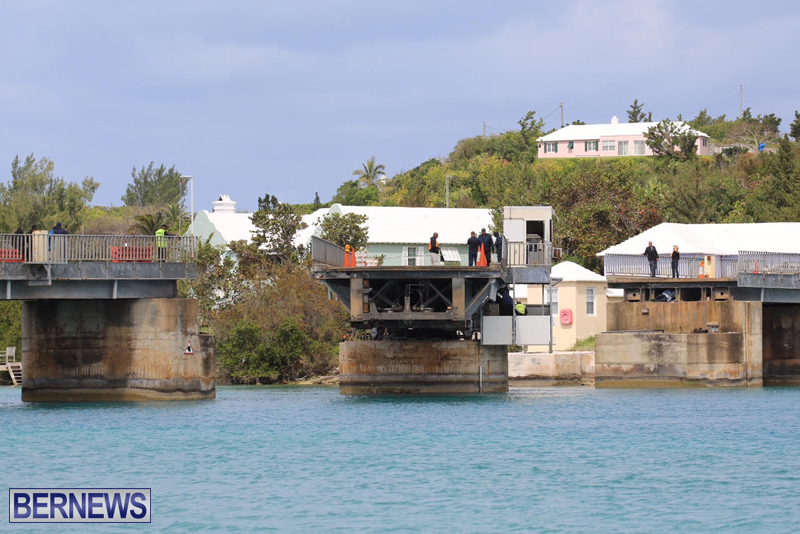 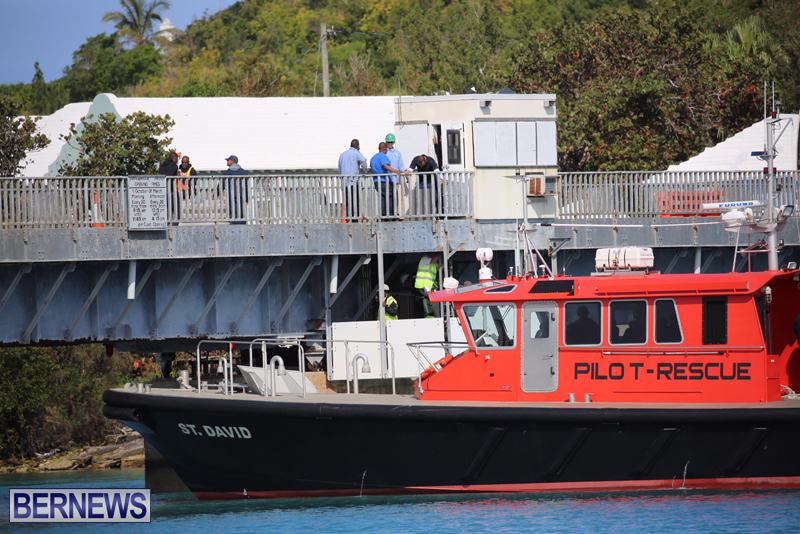 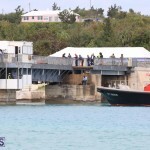 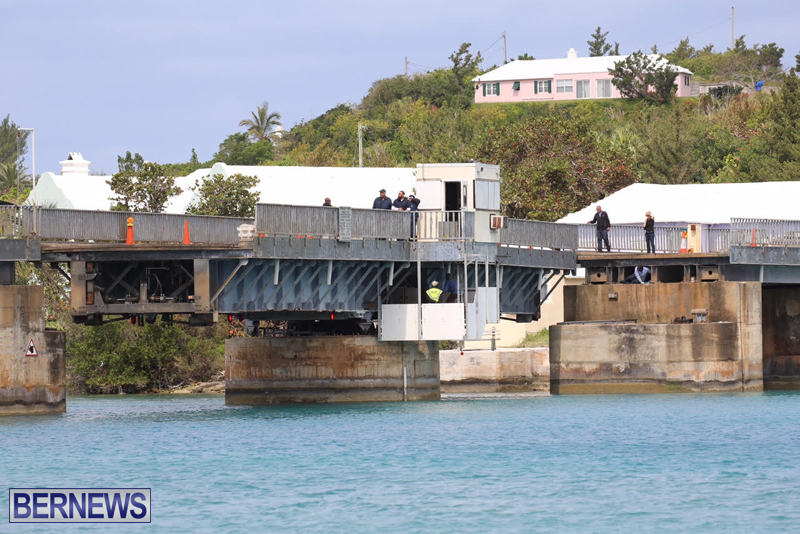 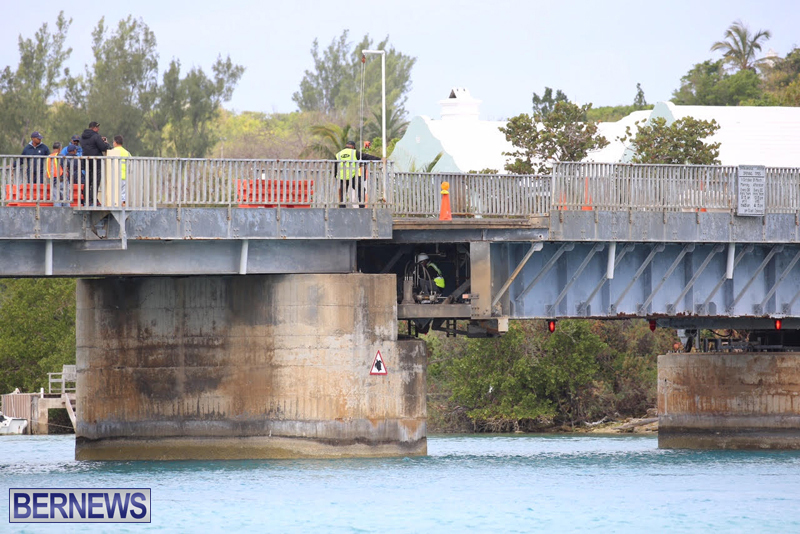 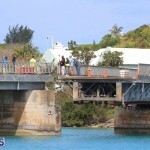 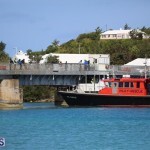 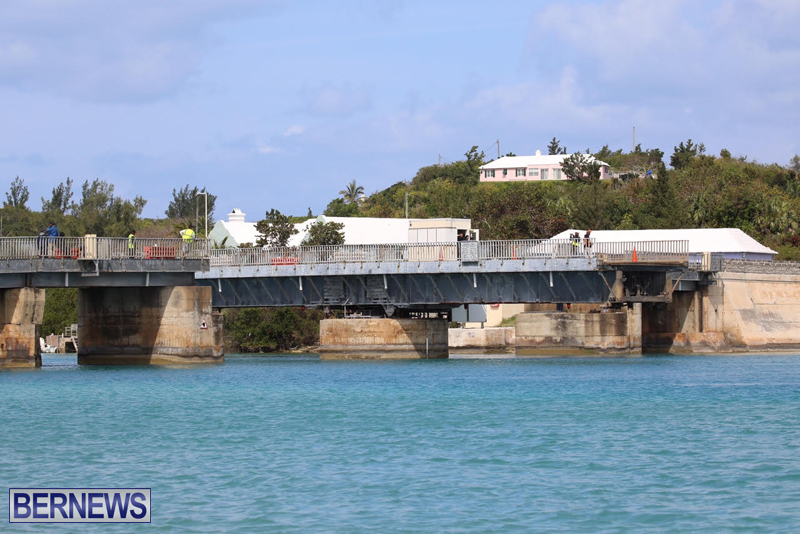 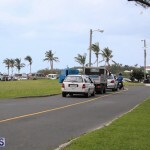 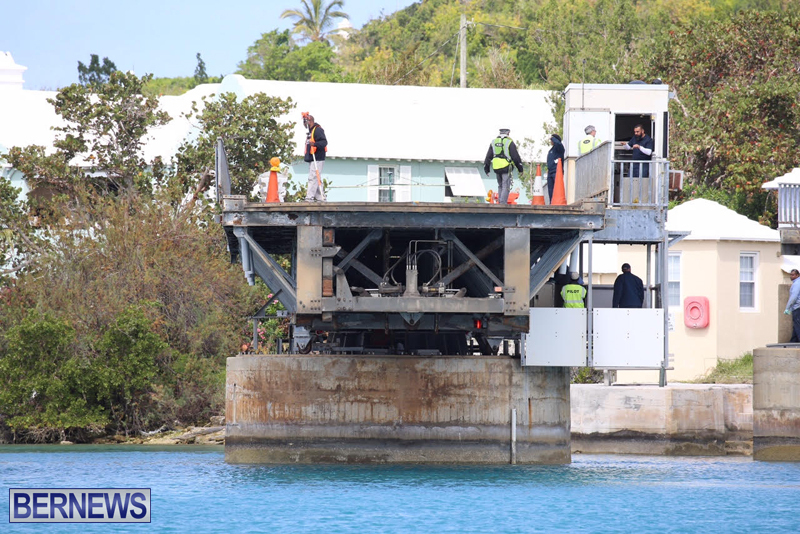 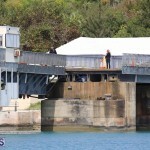 [Updated] The Ministry of Public Works opened and closed the Swing Bridge in St. Georges for inspection and structural testing purposes this morning, with some traffic delays in the area as the testing took place. 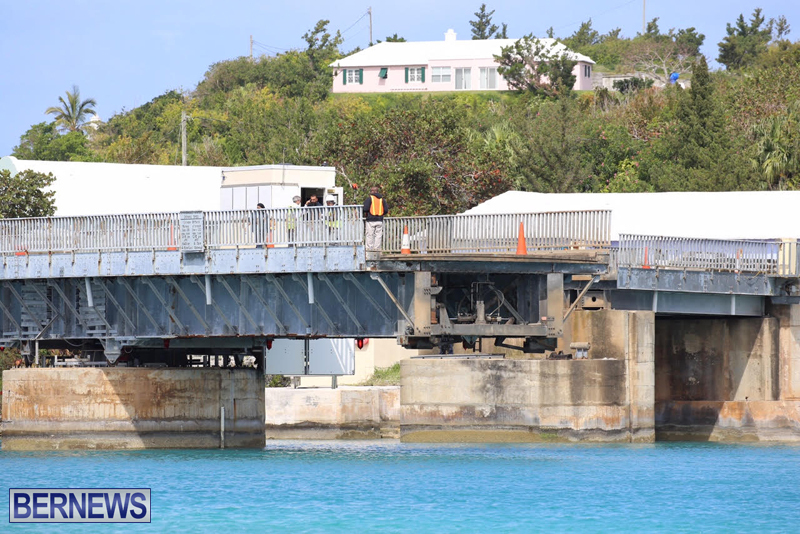 In December of 2015, the Government announced that following an engineering survey they would be placing a weight restriction on Swing Bridge and enforcing single lane traffic. 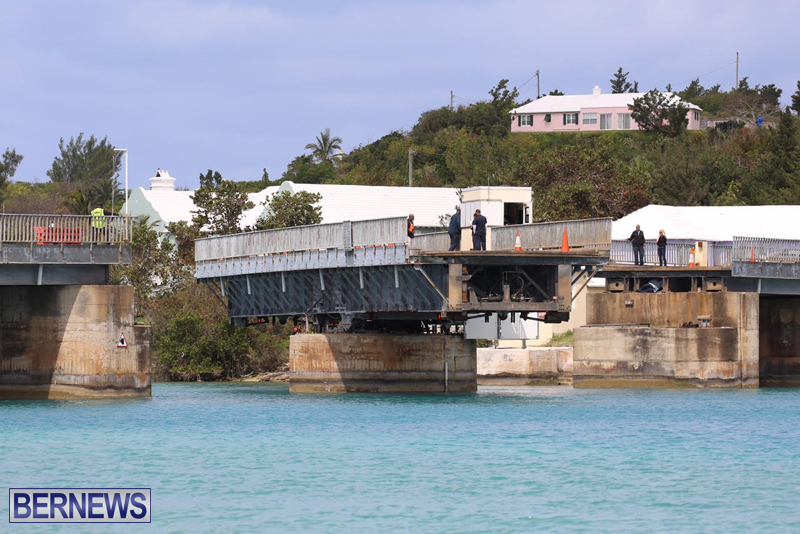 Update 4.05pm: A Ministry spokesperson said, “The Ministry of Public Works wishes to take this opportunity to thank the East End motoring public for their patience and cooperation during the Swing Bridge testing this morning. 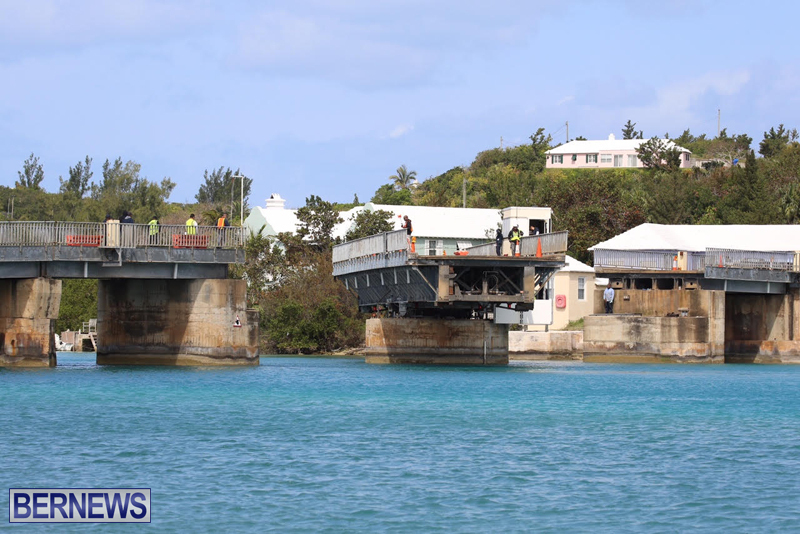 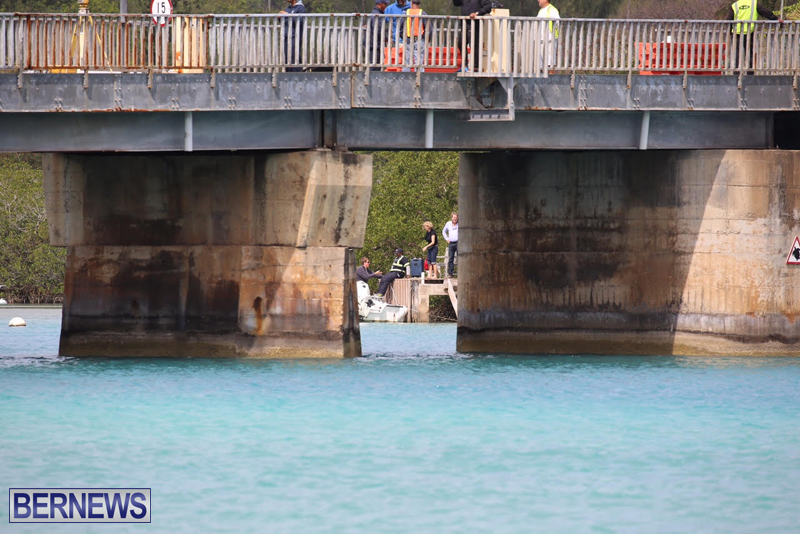 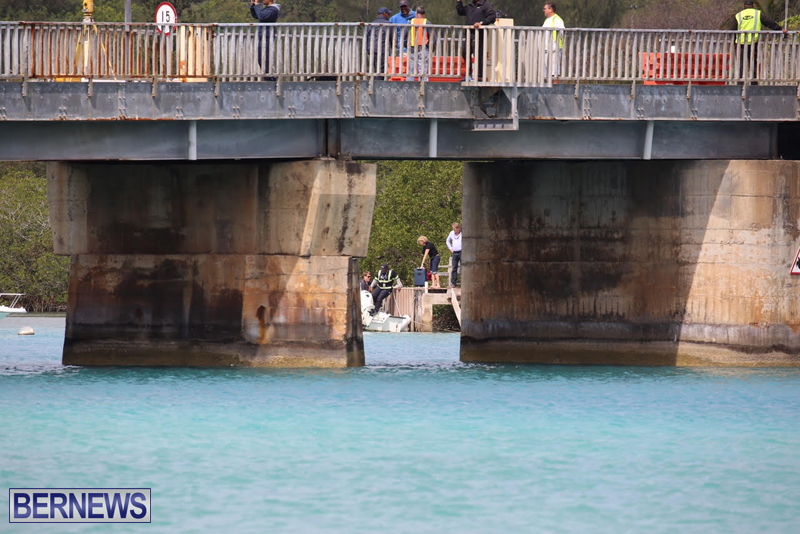 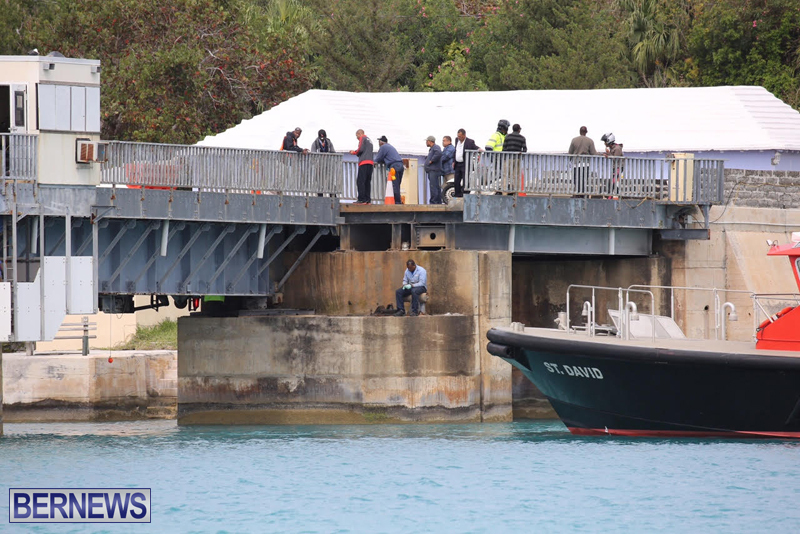 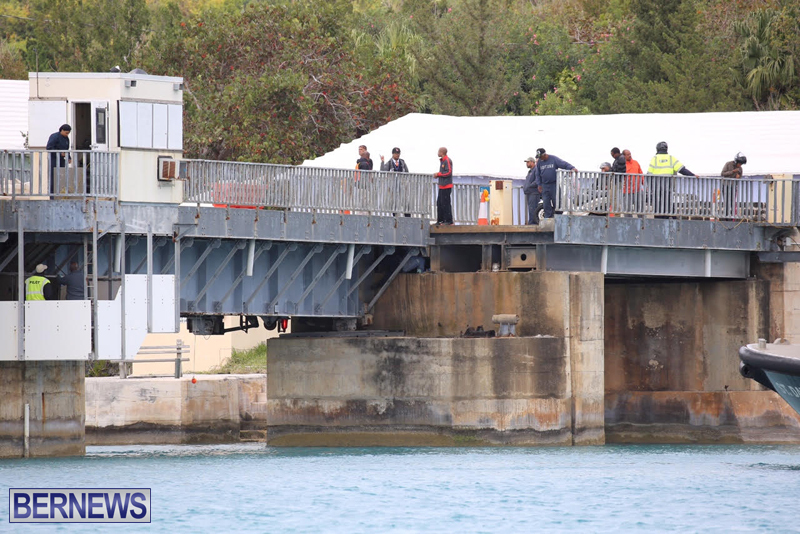 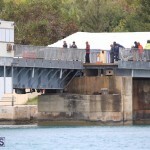 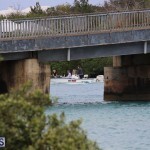 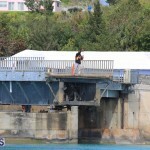 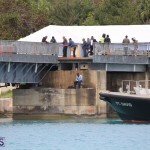 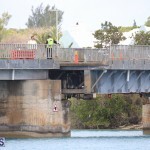 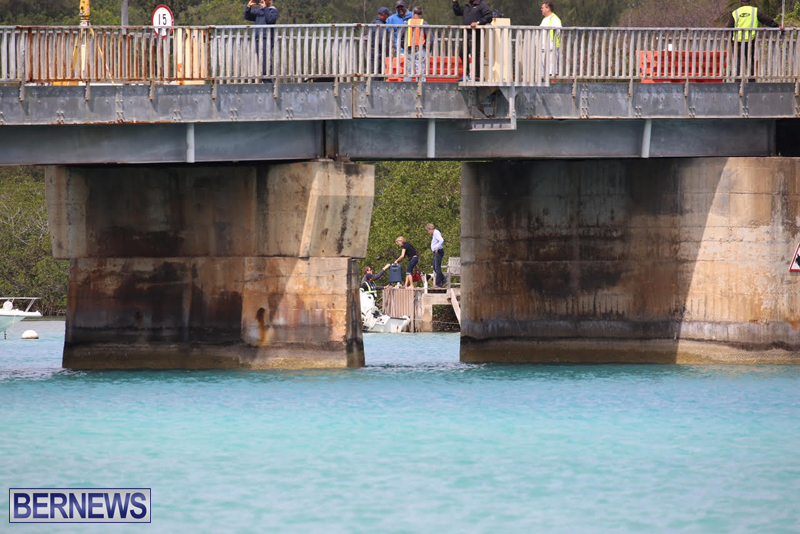 “According to Ministry engineers, the necessary structural inspections took place between 10.00 am and 12.30 pm, however the bridge did not close to traffic until 11am as crews were able to keep it open while preliminary works were undertaken. 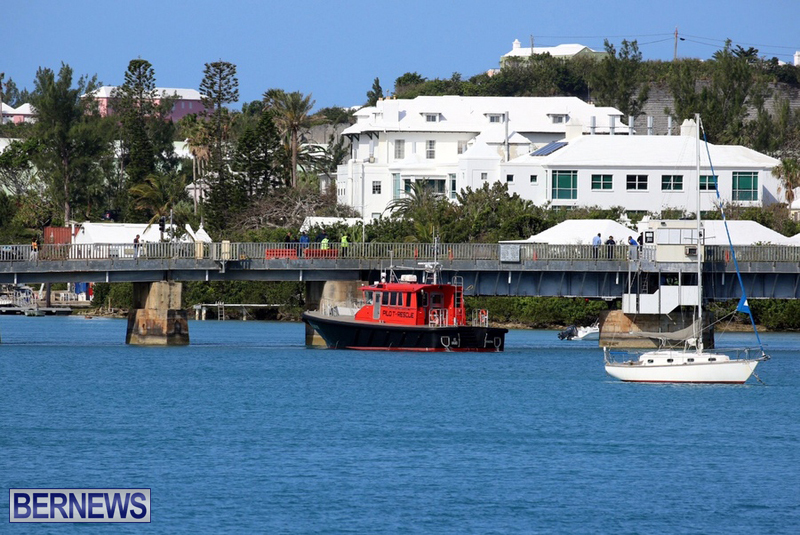 Nice timing, given the first cruise ship of the season arrived in St. George’s today. 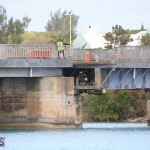 You can’t fix stupid. 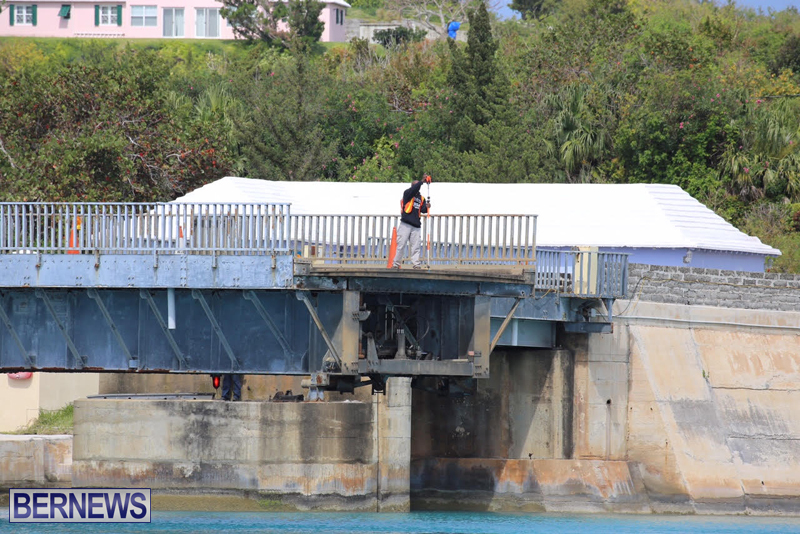 I assume you know all the circumstances? 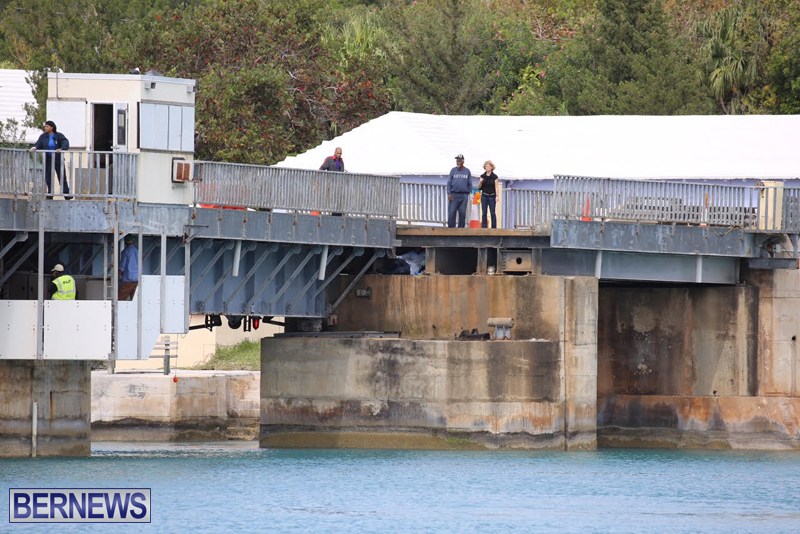 If not, you’re being a little, well, stupid. 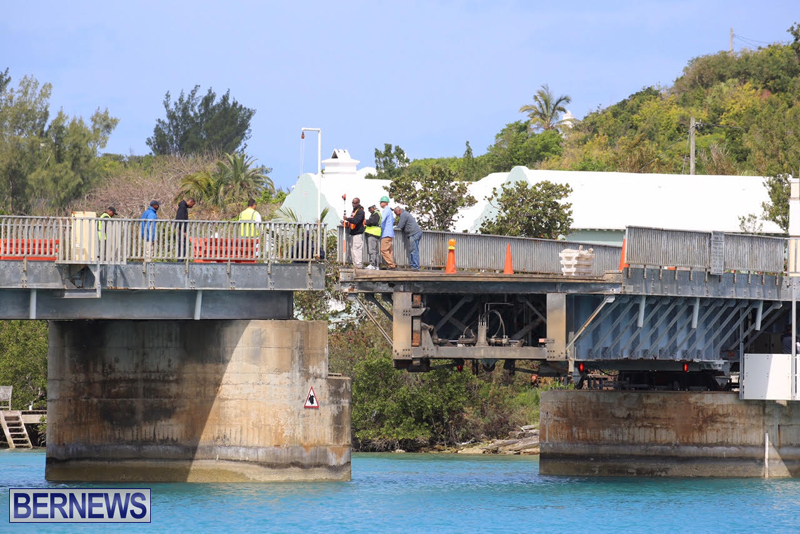 So is there an end result? 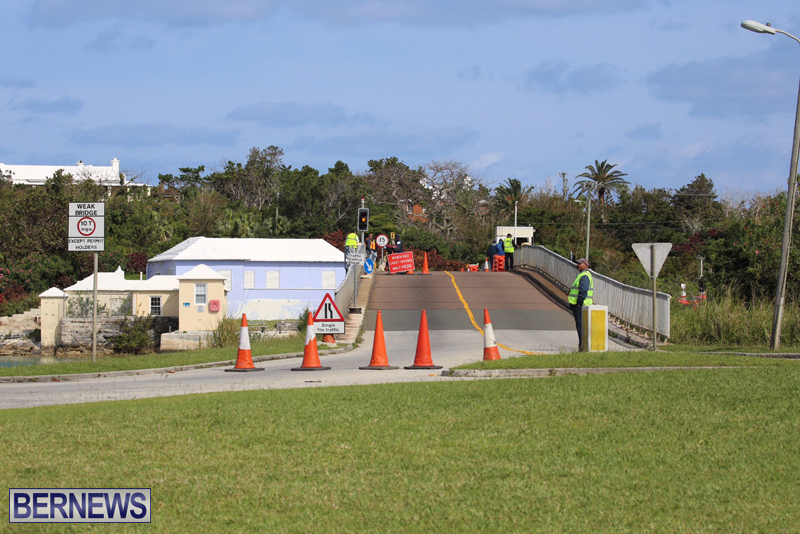 We really need 3 new bridges: 1 at the causeway, the swing bridge and the old draw bridge from St Georges to St David’s for emergency use. 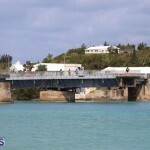 Is there a ‘buy two, get one free’ sale anywhere? 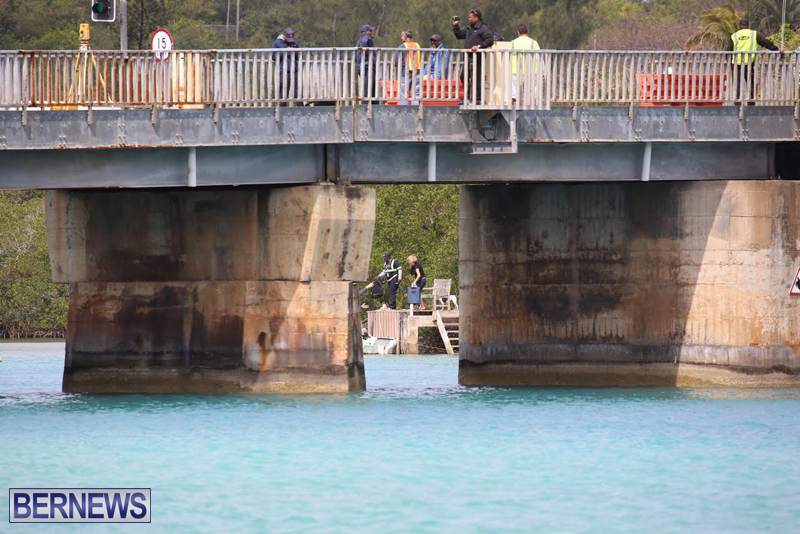 You need a bloody new Government. 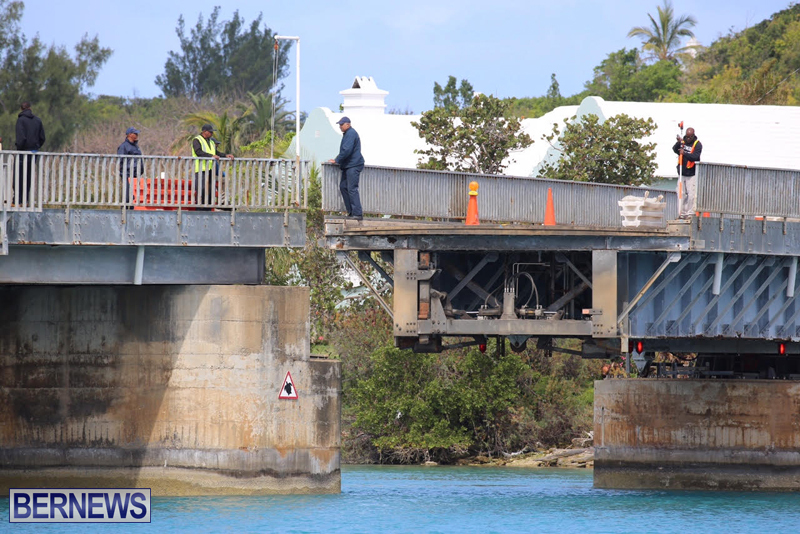 This crap has been going on for 30 years. 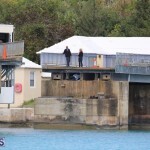 None have listened because they would not be on the receiving end. 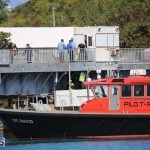 So!!! 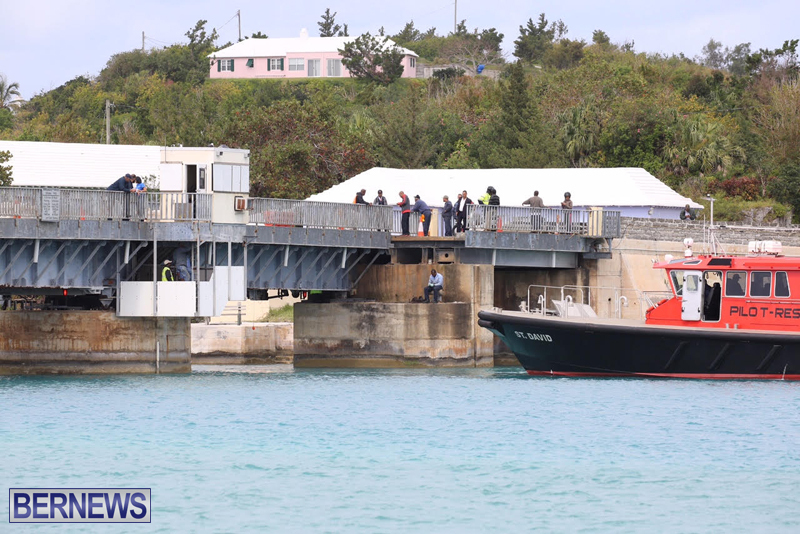 Who was the clueless CS worker that made the decision to do this on one of the very RARE days St George has a cruise ship in port??? 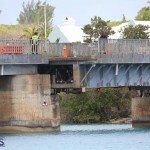 The CS worker should be terminated immediatly!!! 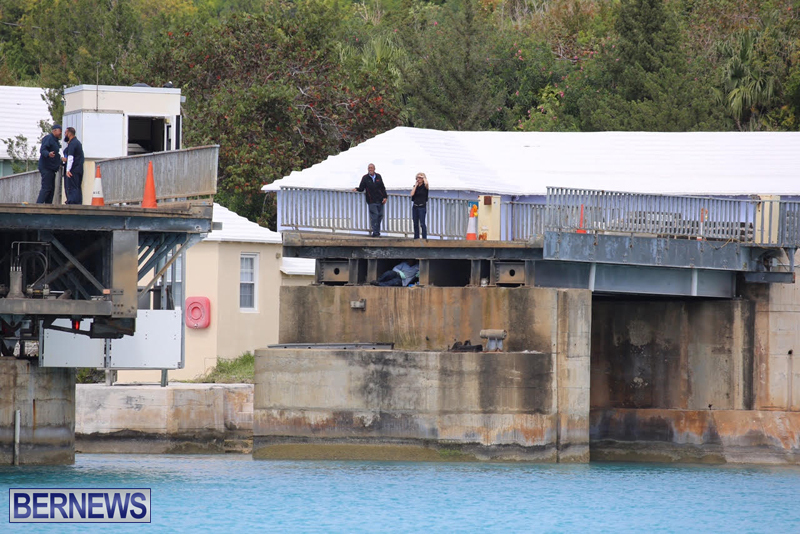 Just more proof of the old saying, ” ignorance has no limits” I am sure the cruise ship and all of its passengers were highly impressed with Bermuda after that moment of stupity?? 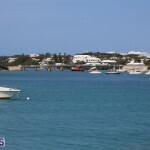 Did you just “like” yourself? 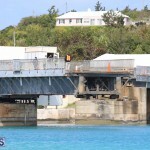 Actually – quite good timing to open the bridge while the ship is in St. Geo. 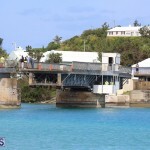 It ensures that the tourists stay in St. Georges and invests money in those businesses that need the money! 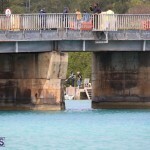 Well done I say! 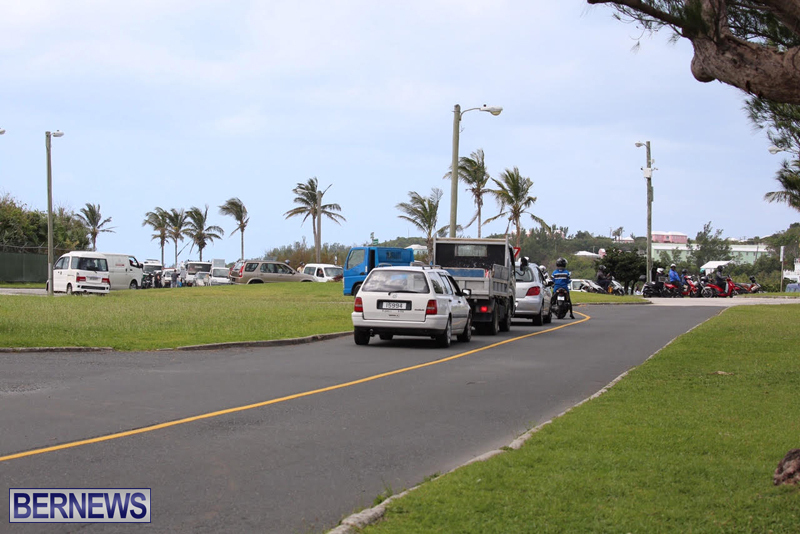 There were no police there yet no one got out-of-hand. 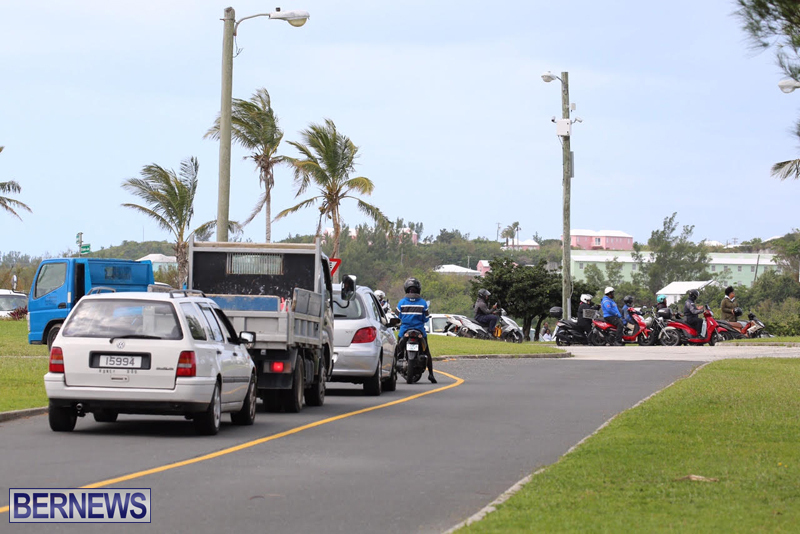 Anywhere else you would need police at both ends because someone would try to cross while work was taking place. 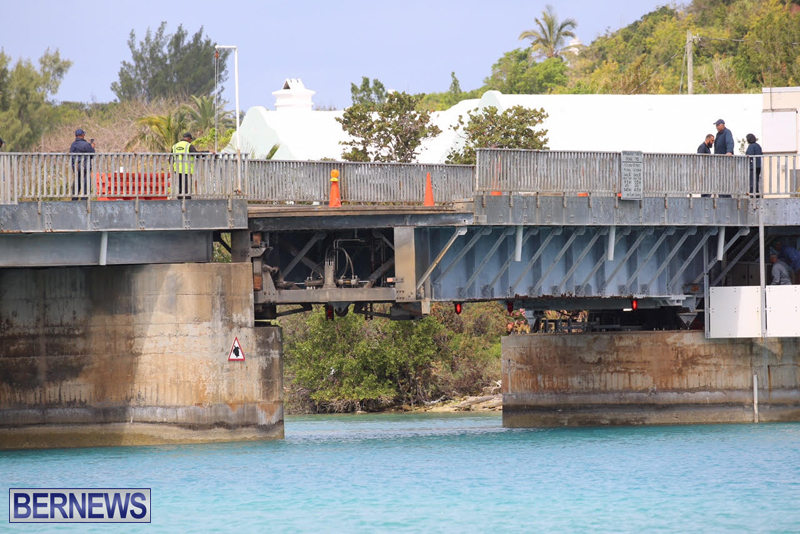 Show me account details of funds spent on preventative maintenance on this bridge going back 30 years (rust proofing, painting etc. 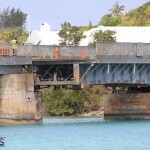 )A state of disrepair like this bridge doesn’t happen overnight! 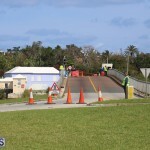 The roads from east to west are all looking the same way as well. 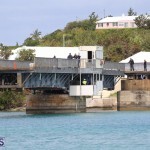 Taxpayers are not amused!! !